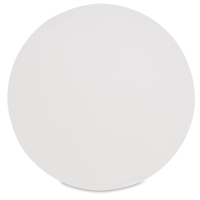 Round watercolor sheets in convenient blocks! 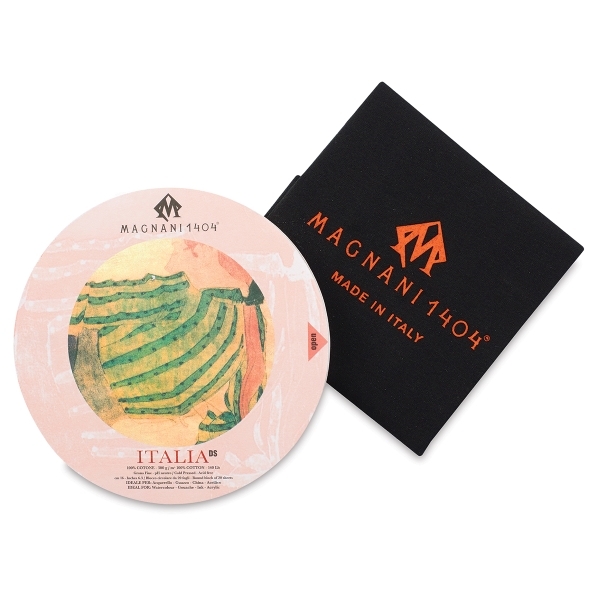 Magnani is a mouldmade, 100% cotton watercolor paper that also works well with acrylics, tempera, pen-and-ink, graphite, colored pencils, watercolor pencils, pastels, and charcoal. 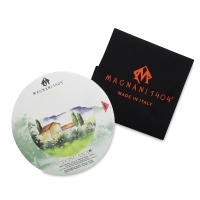 Available in hot press, cold press, and rough surfaces, this acid-free, pH-neutral, chlorine-free paper is both surface-sized and manually gelatin-sized. 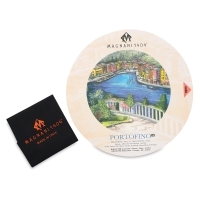 Aside from their unique shape and portability, Magnani Round Watercolor Blocks provide the ability to work in the block with little to no warping or buckling. Choose Italia (cold press), Portofino (hot press), or Toscana (rough).